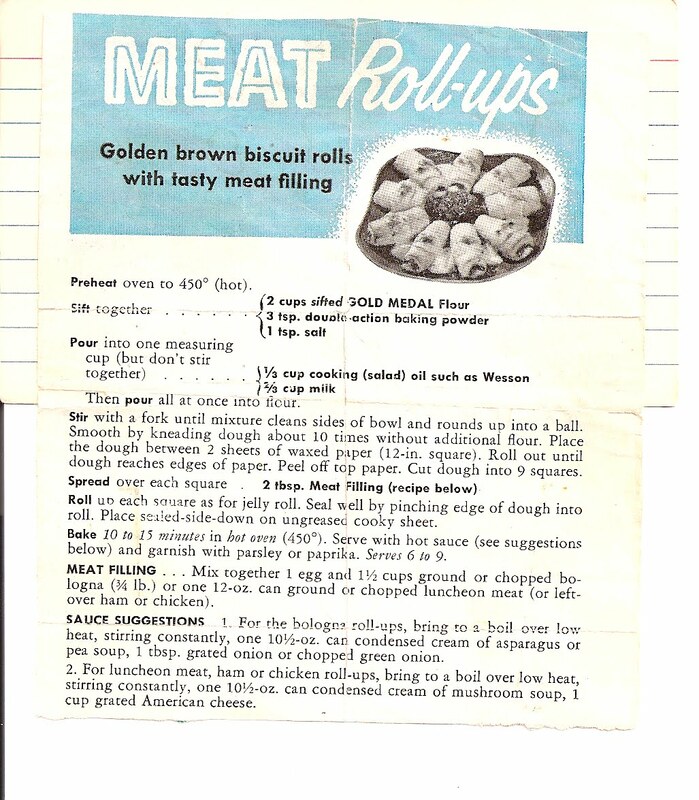 I wish, WISH this recipe card had a date on it! 1 1/2 cups chopped bologna of "chopped luncheon meat"
-Sift together the flour, baking powder and salt. Add oil and milk. Stir until dough forms. -Roll the dough out like a pizza crust. 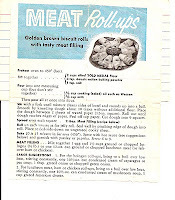 Top with meat-egg mixture and roll into a jelly roll shape. -Slice into smaller pastry sizes. -Bake at 450 degrees for 10-15 minutes. WAIT! It gets better! There's a sauce! -Bring to boil 10 oz condensed cream of mushroom soup. Stir in 1 cup of grated American cheese.